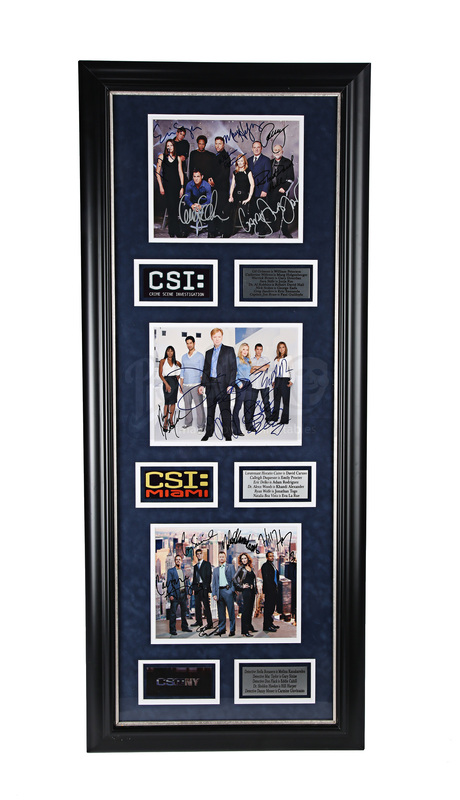 A display of signed cast photographs from three of the CSI franchises – CSI: Crime Scene Investigation, CSI: Miami and CSI: NY. 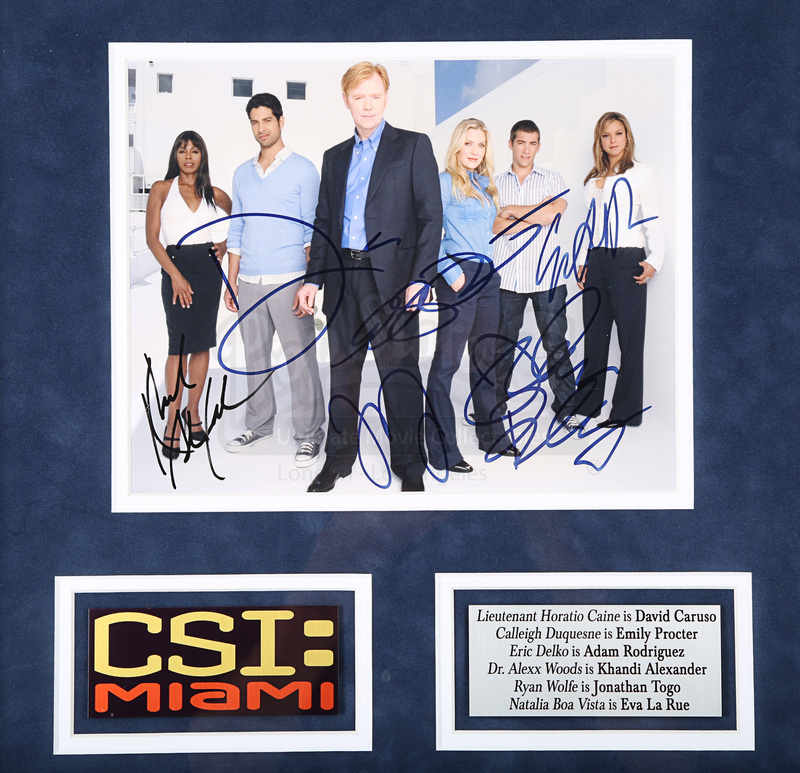 Each series follows a group of crime scene investigators in a different city – Las Vegas, Miami, and New York – as they use the latest scientific techniques and no short order of intelligence to root out the criminals. 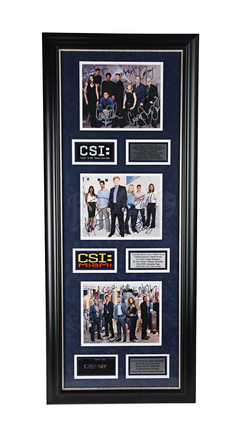 This display features a picture of the principal cast of each series and each of their autographs written in pen over them, including those of lead actors William Petersen, David Caruso and Gary Sinise. 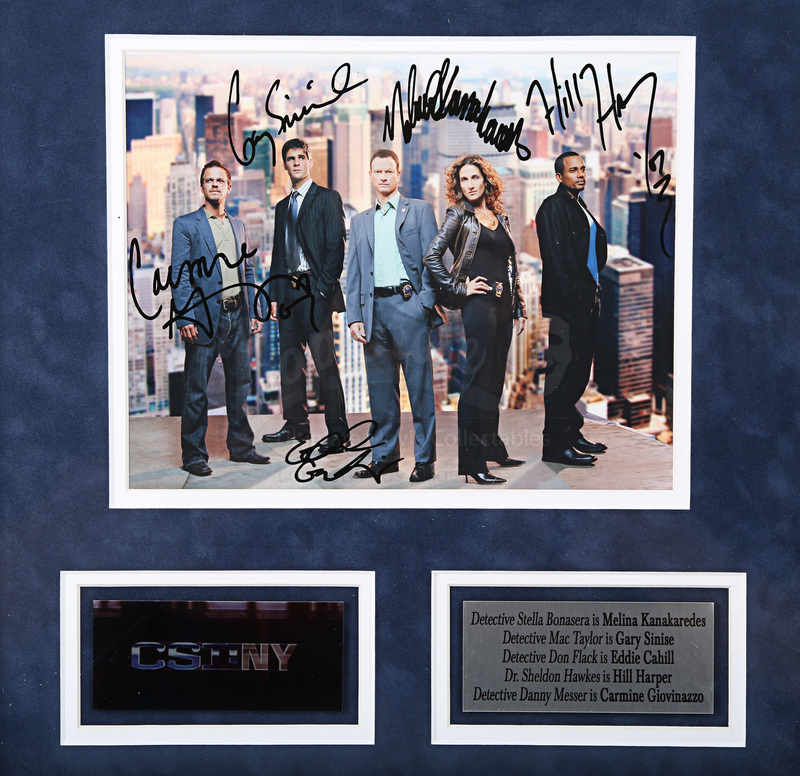 Underneath each photo is a little plaque with the names of each actor and their character, and the show’s titles. 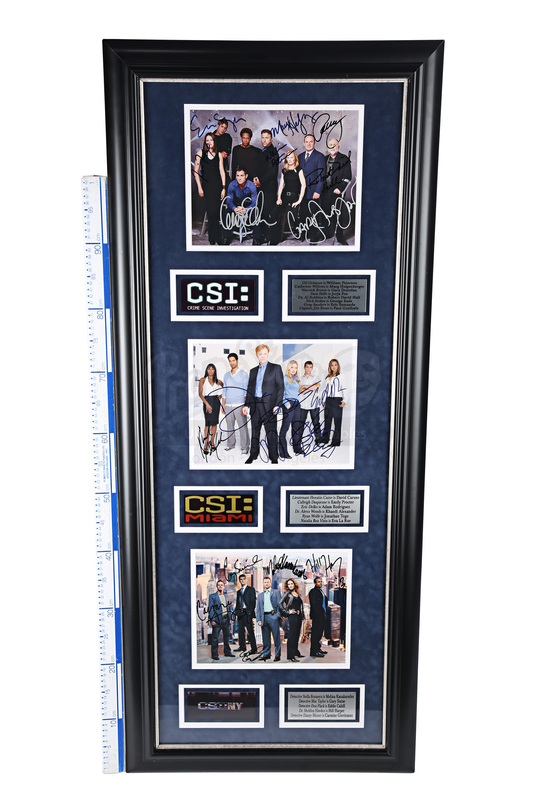 Presented in a black frame and in a custom-built display, the piece shows some minor wear from storage, including a few scuffs on the frame. 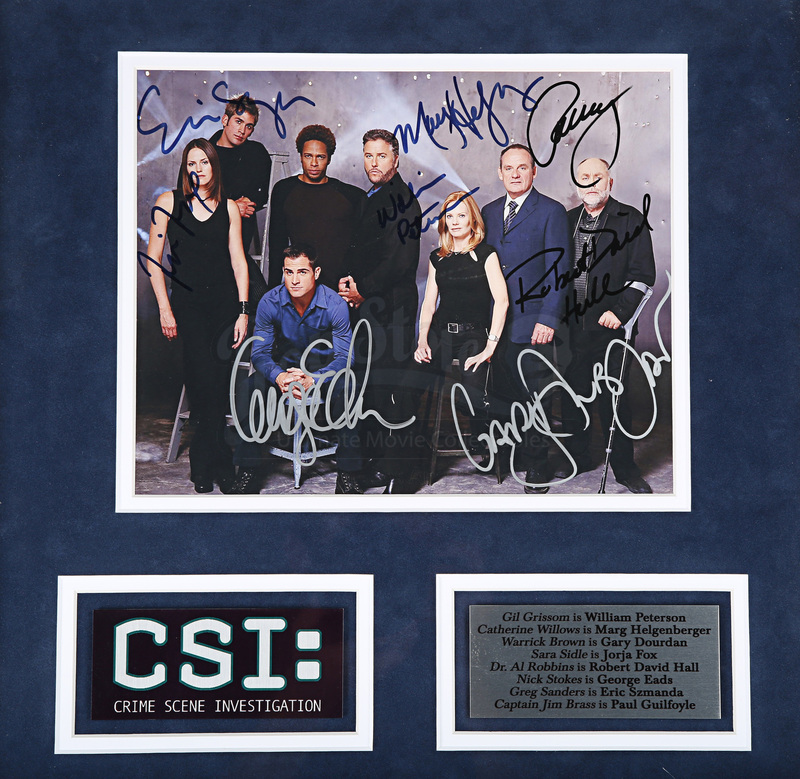 Despite this the piece remains in an otherwise excellent condition. Materials: Card, Glass, Wood, Ferrous Metals.